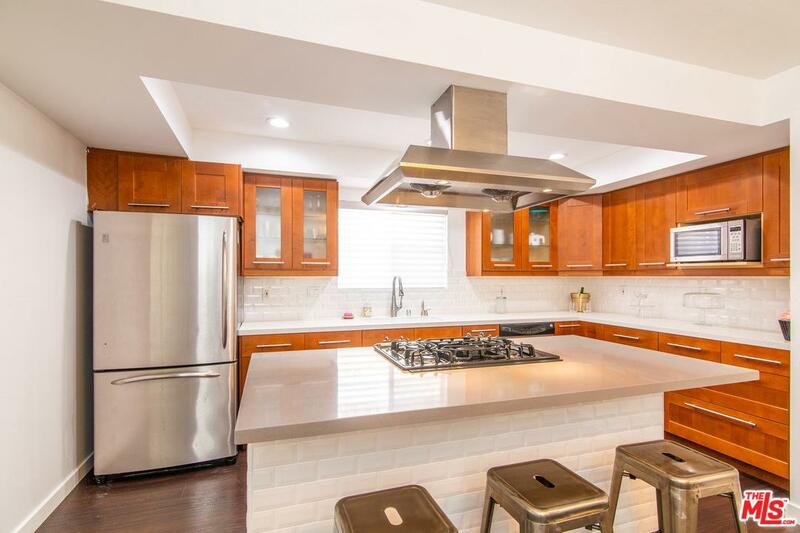 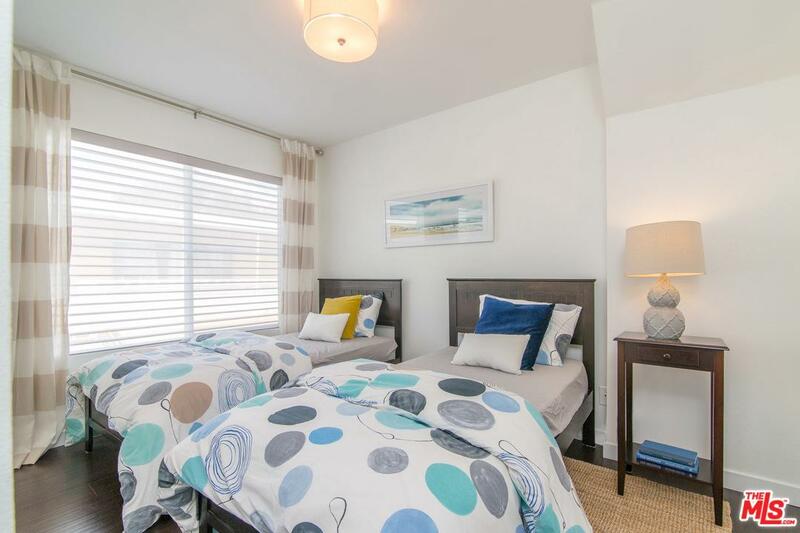 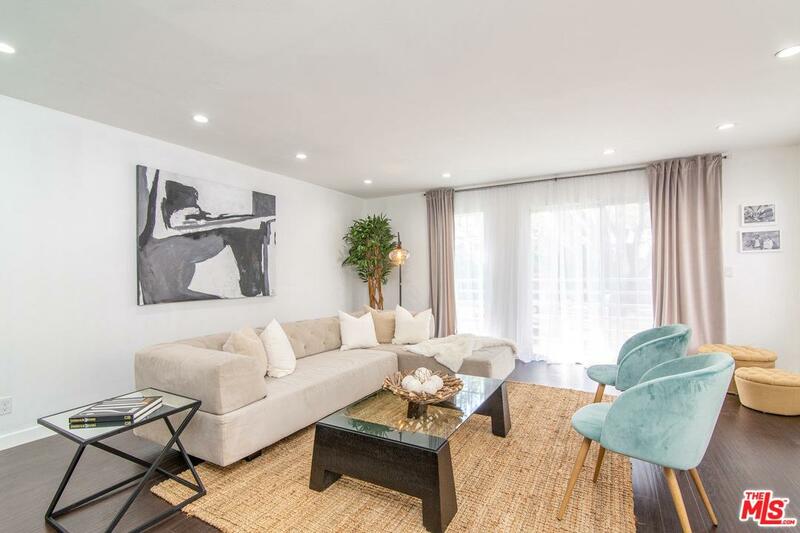 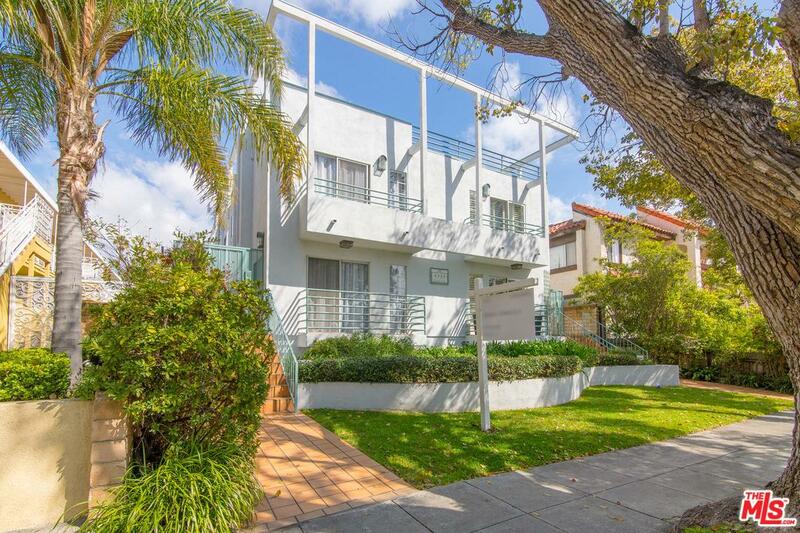 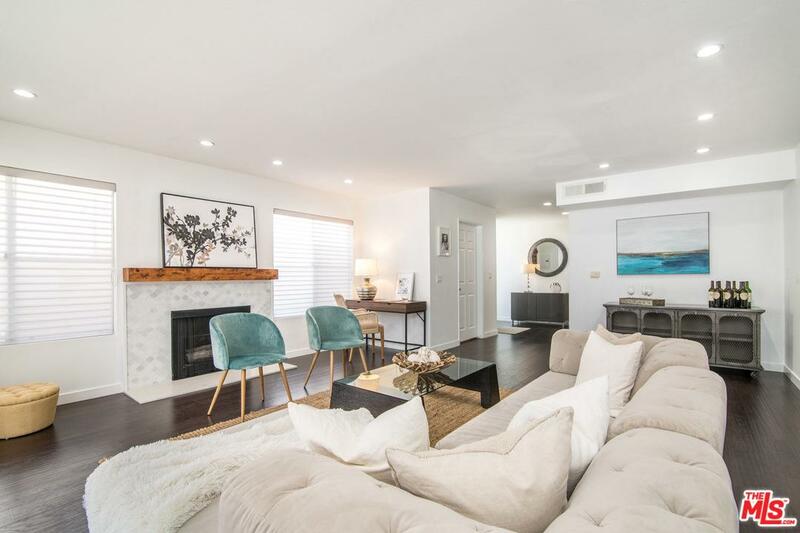 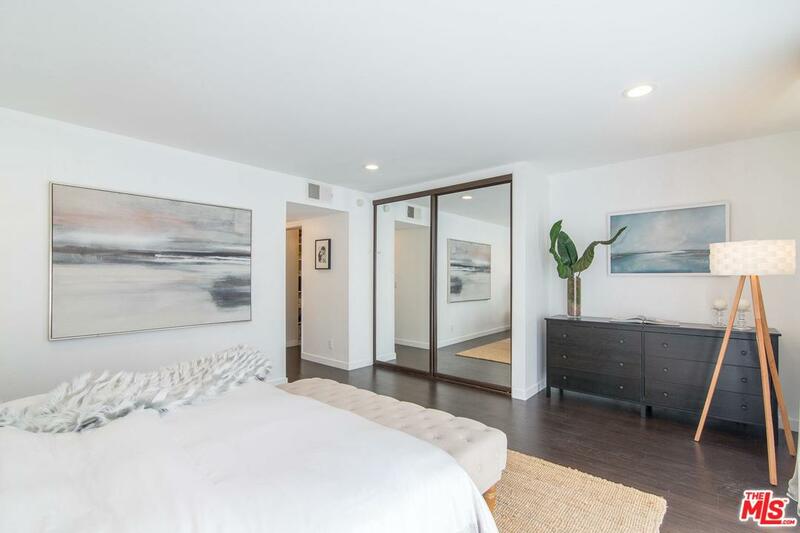 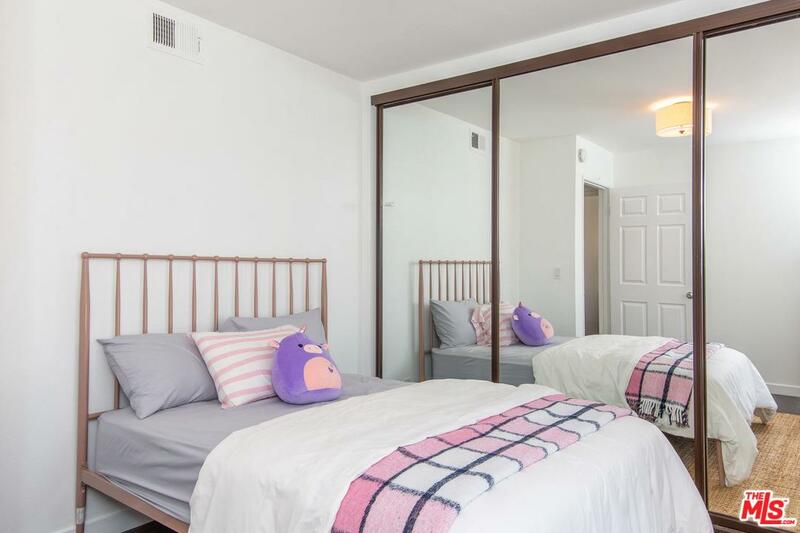 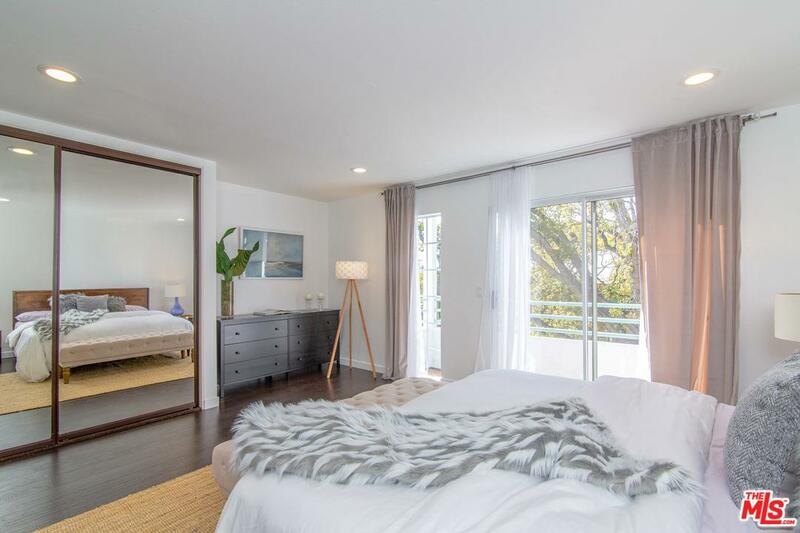 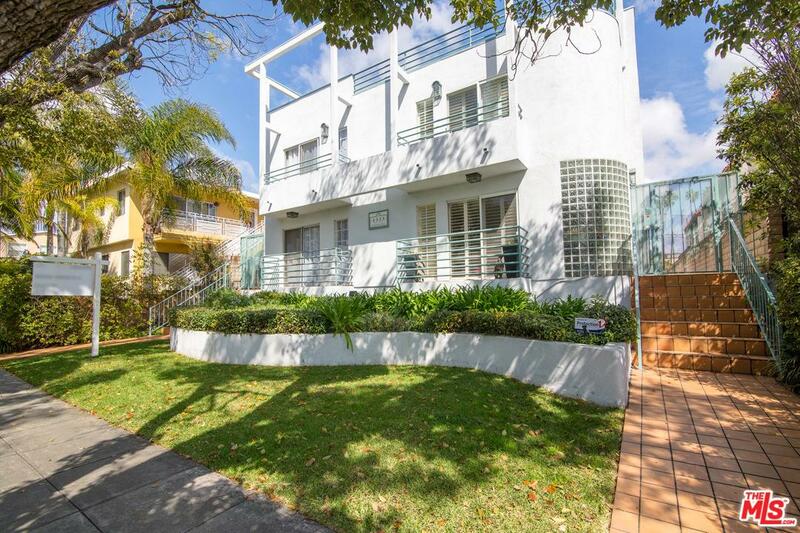 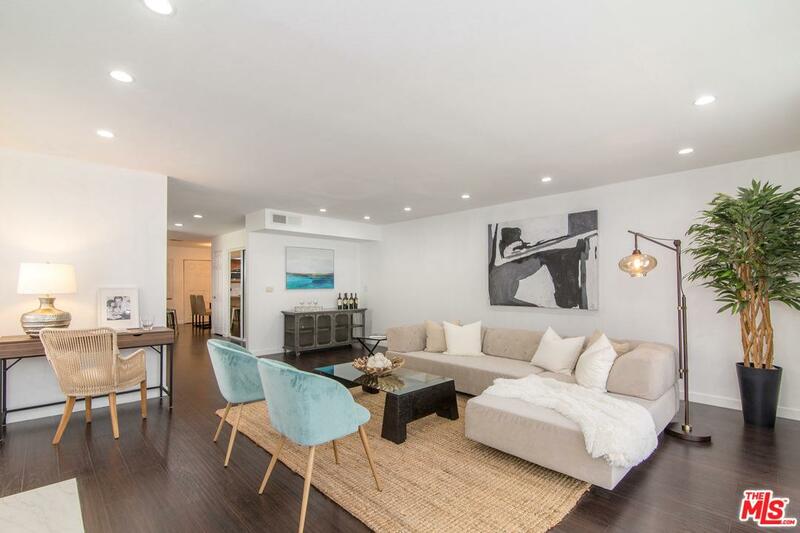 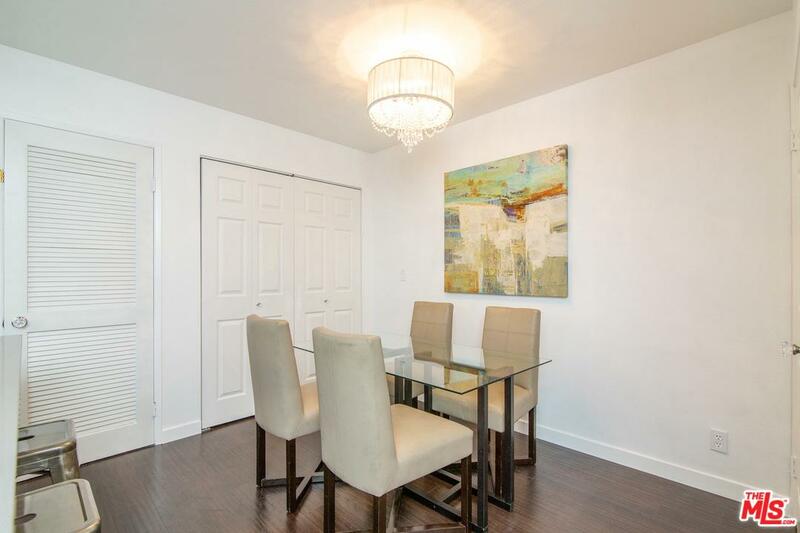 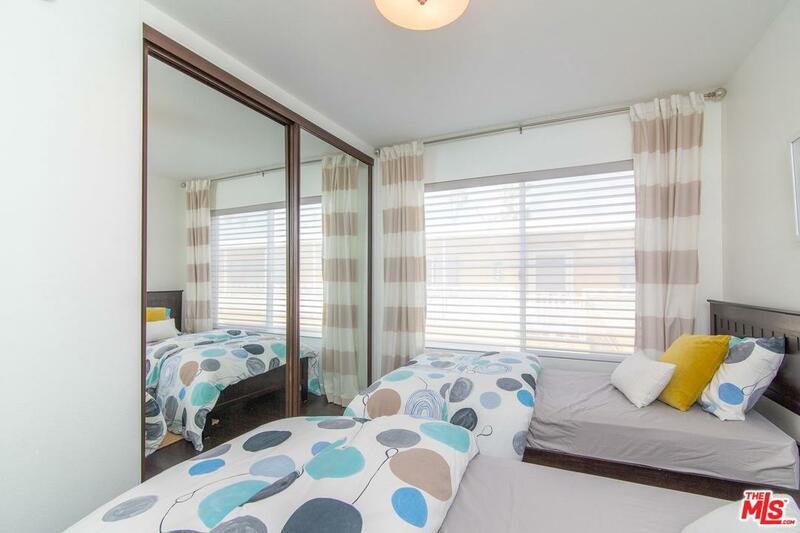 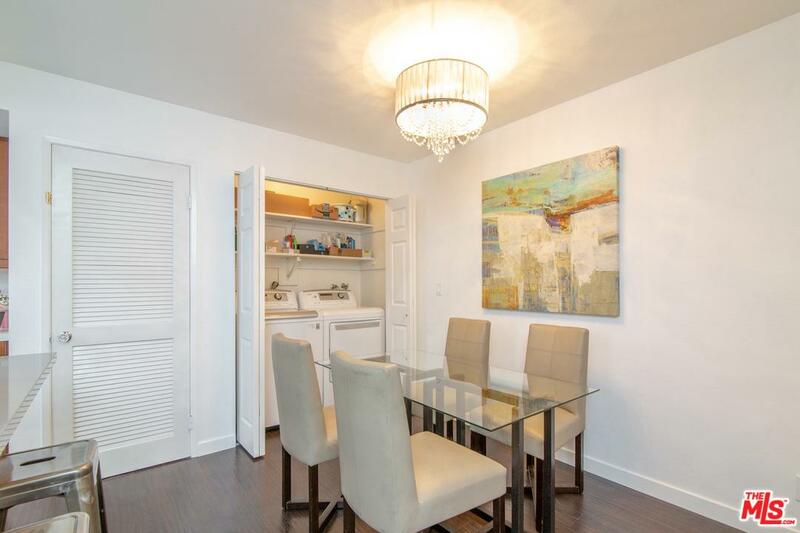 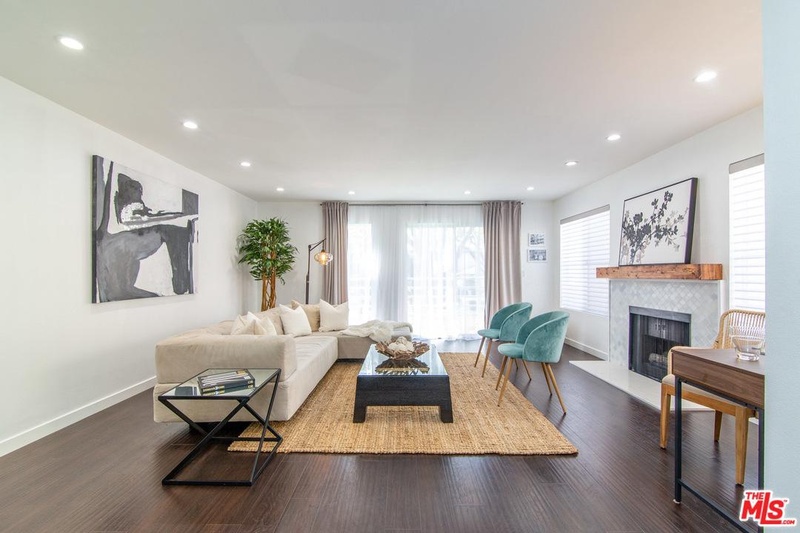 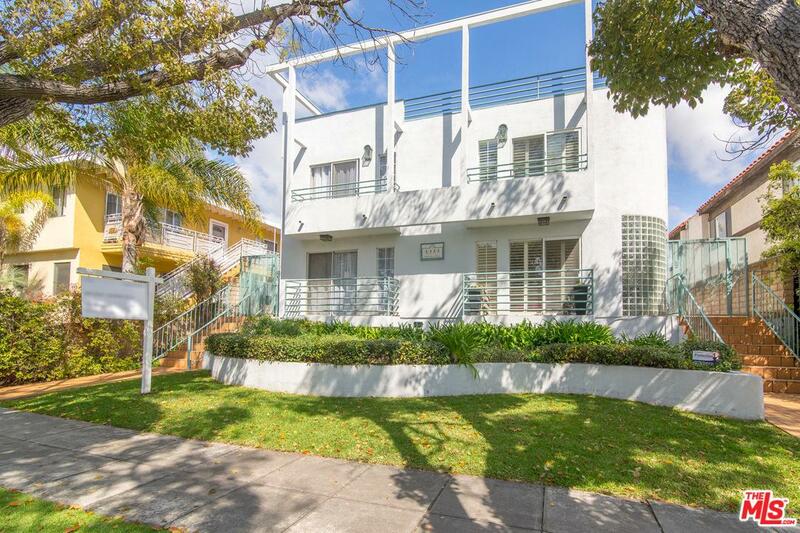 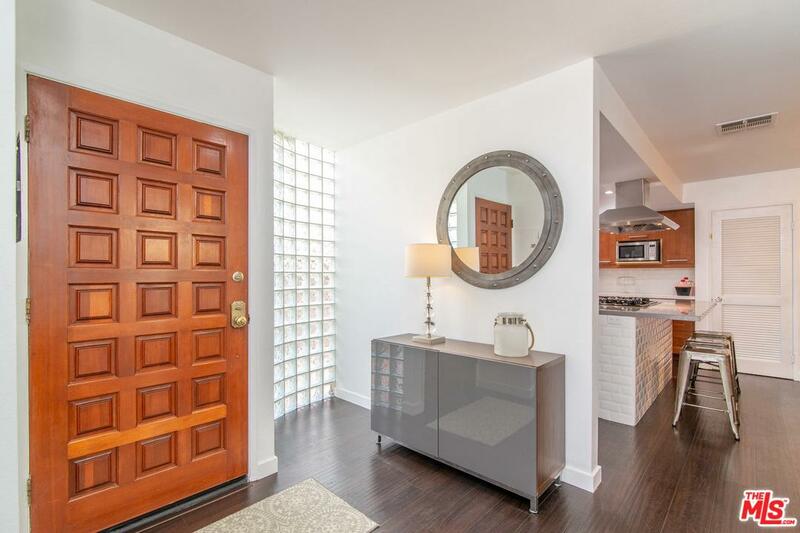 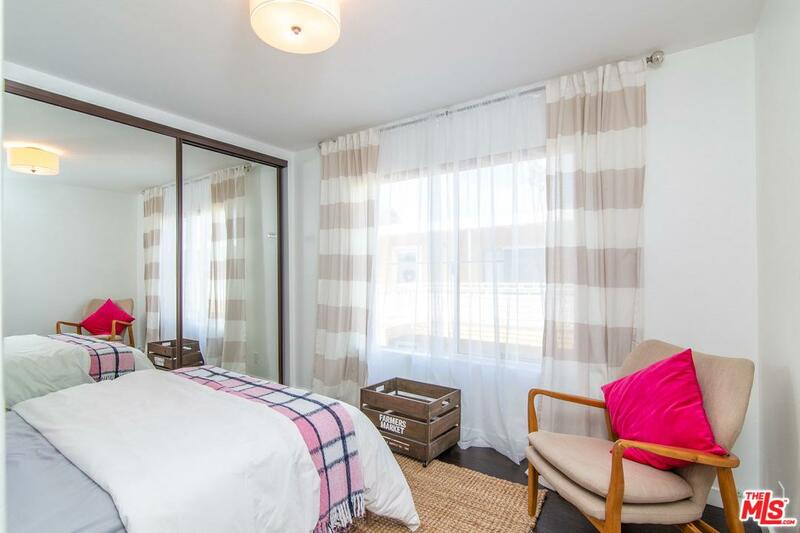 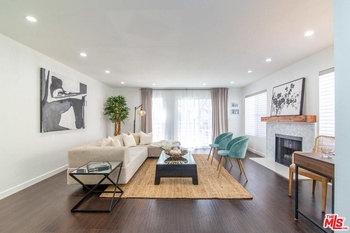 Front-facing 3BR/2.5BA architectural townhome in prime Santa Monica. 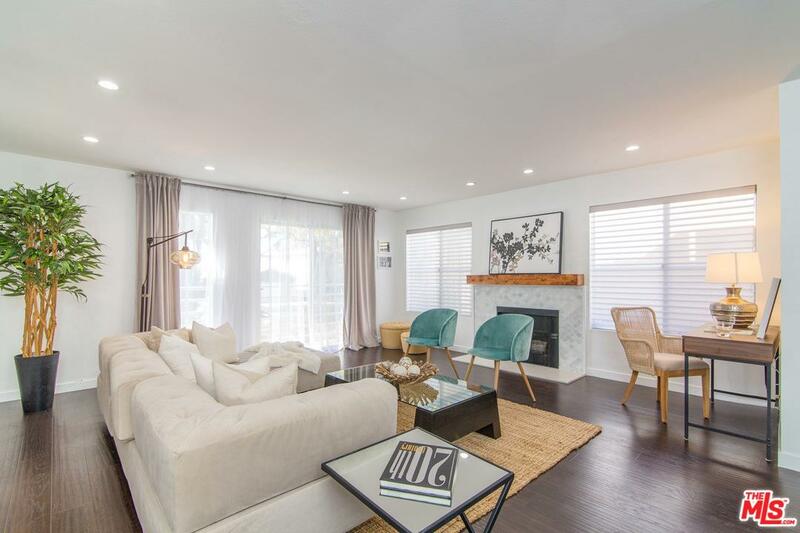 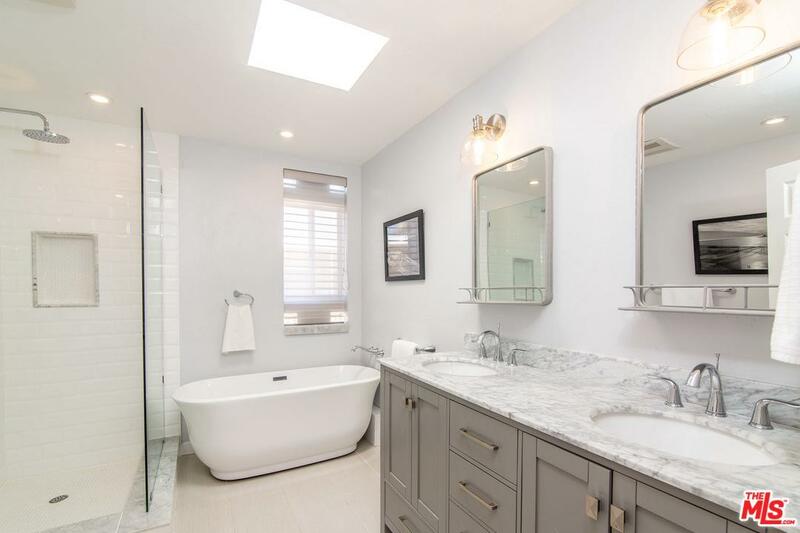 This beautiful property has been graciously updated and remodeled, and absolutely shines with high ceilings and abundant natural light. 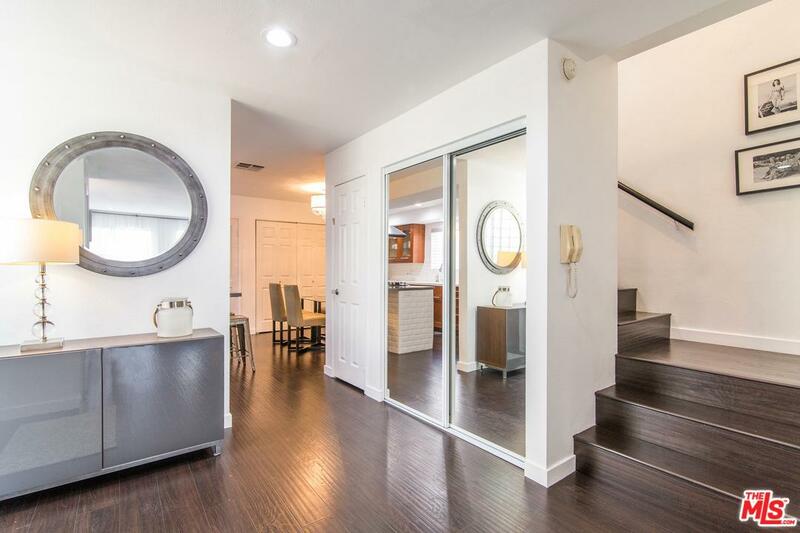 Formal entryway opens to an expansive living room with large sliding glass doors overlooking the street. 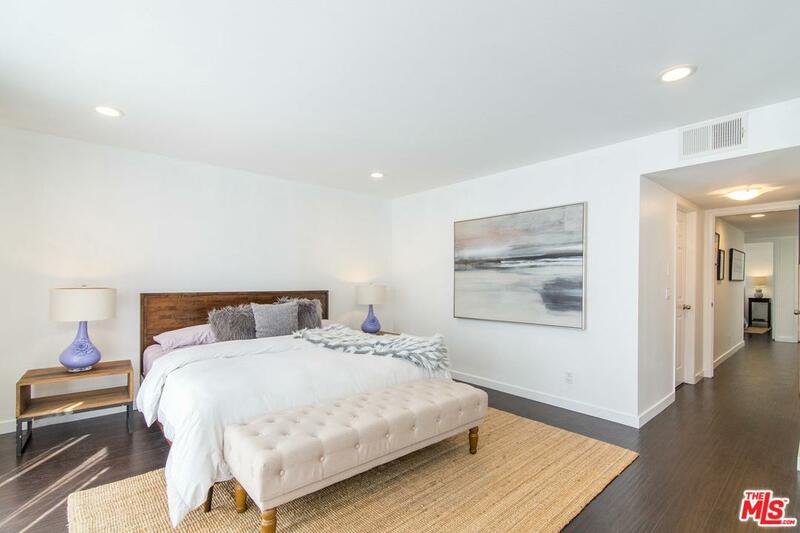 Newly installed dark wide-plank flooring offsets gleaming white paint. 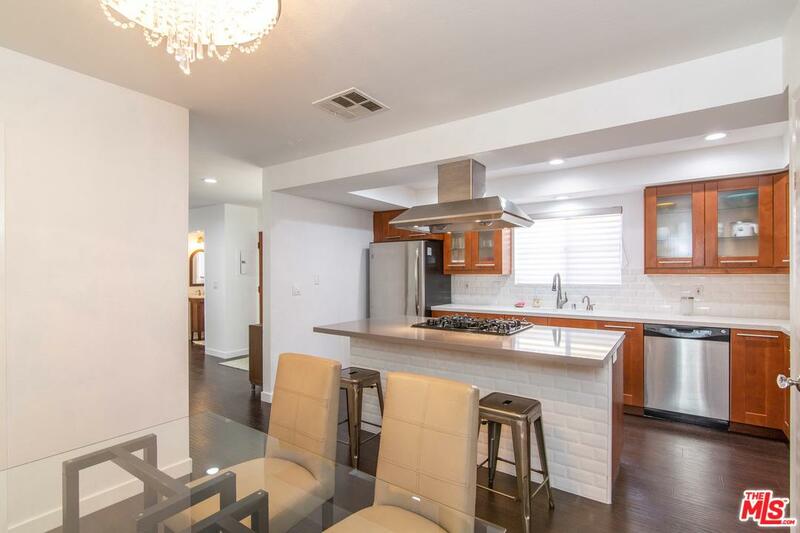 Stylish fireplace adorned with Moroccan-inspired tile and rustic mantle. 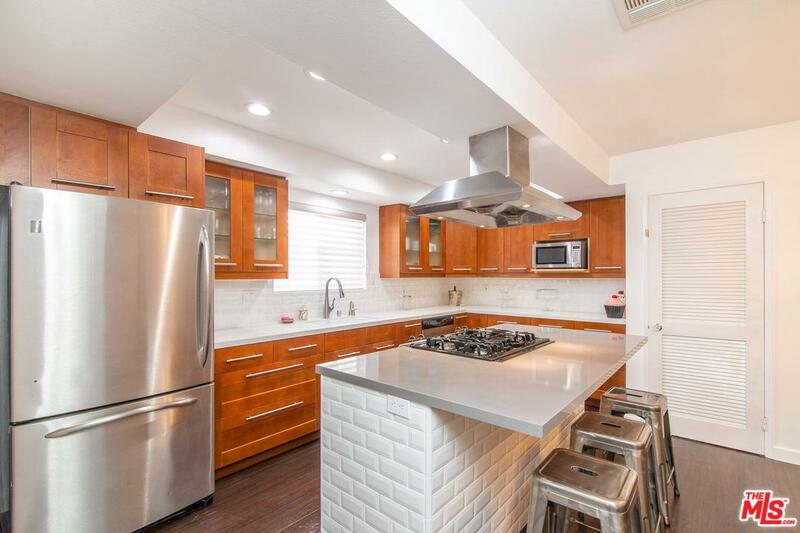 Remodeled kitchen with quality cabinets, quartz counters, subway-tile accents and stainless-steel appliances. 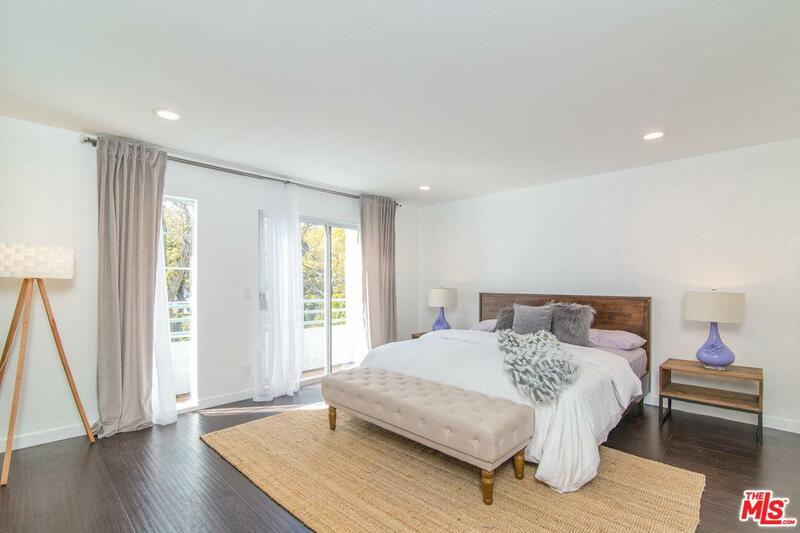 Upstairs jumbo master suite with balcony and tree-top view. 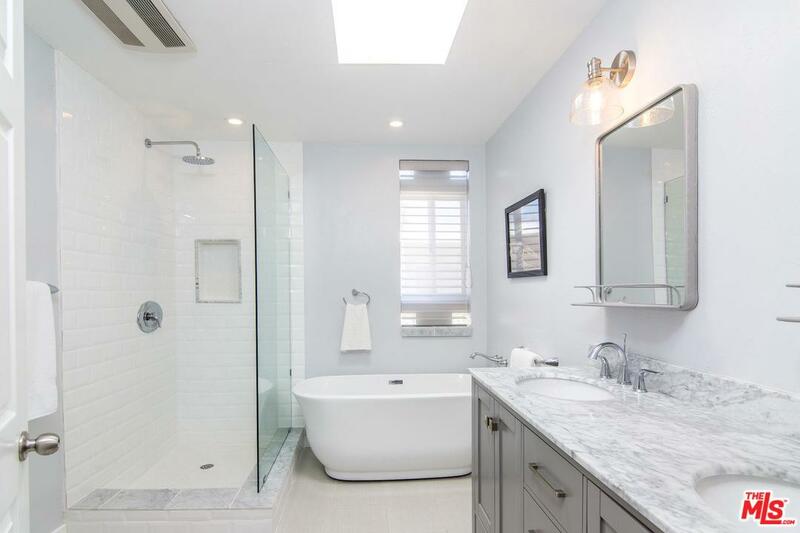 The newly redesigned master bath is a spa-worthy setting featuring a deep soaking tub and separate glass stall shower. 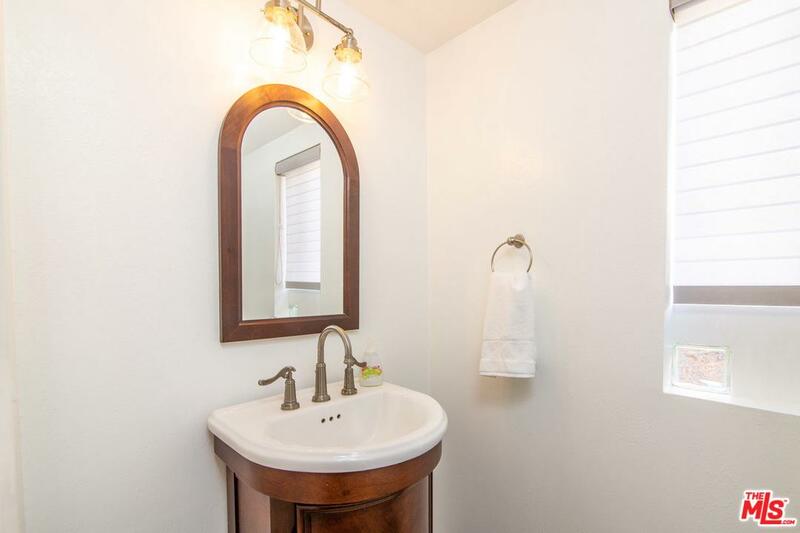 2 additional bedrooms and remodeled full bath round out the second floor. 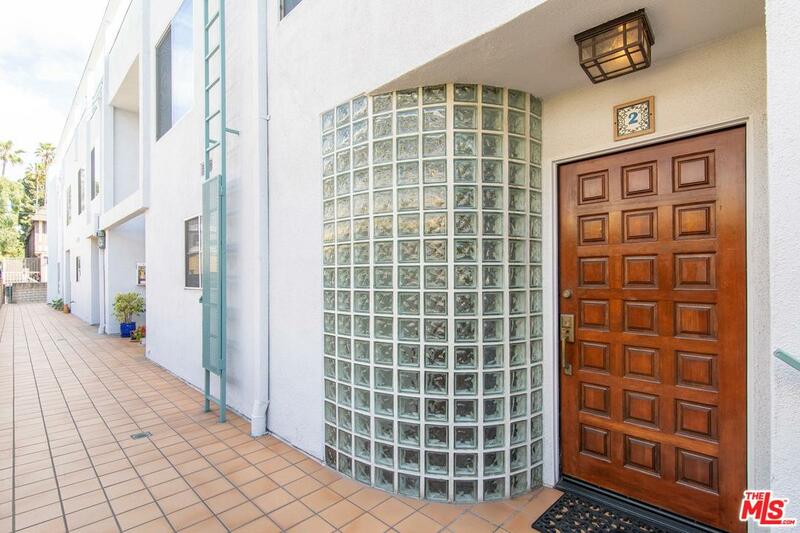 2-car side-by-side parking, central air/heat, inside laundry and earthquake insurance. 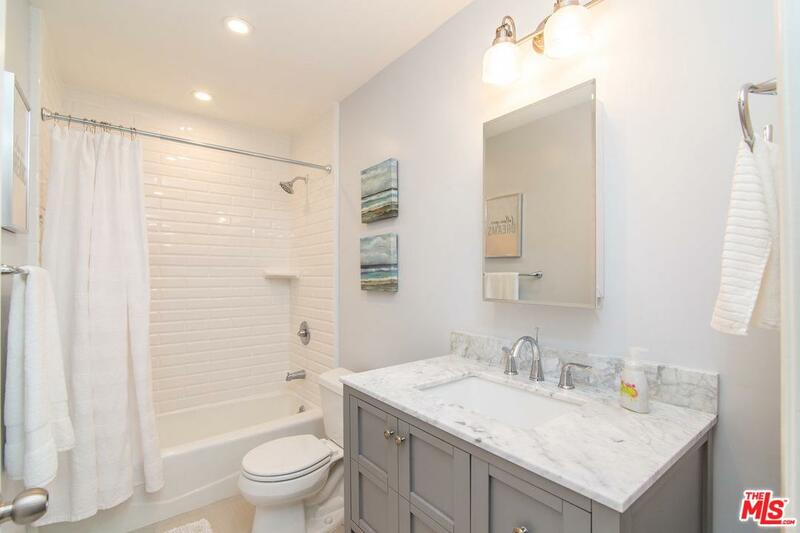 Impeccable!